The newly Democrat-controlled House Oversight Committee said Thursday that Michael Cohen will testify in a public session on February 7. President Donald Trump's former lawyer Michael Cohen will testify in Congress next month, lawmakers said Thursday, posing a potential new threat to the president as the Russia collusion investigation increasingly menaces the White House. The newly Democrat-controlled House Oversight Committee said Thursday that Cohen will testify in a public session on February 7. The testimony comes after Cohen was sentenced in December to three years in prison for multiple crimes, including felony violations of campaign finance laws he undertook, prosecutors alleged, under Trump's direction. 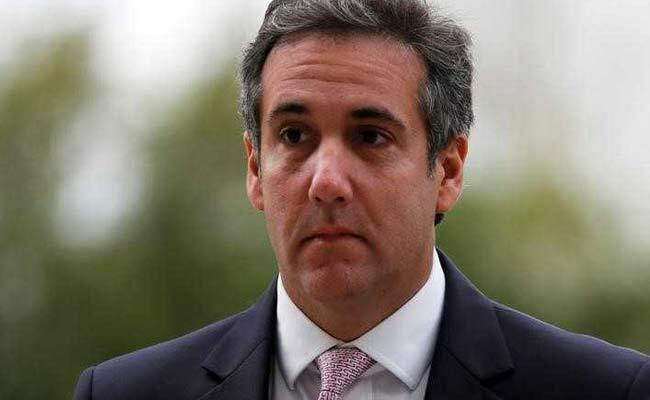 "I look forward to having the privilege of being afforded a platform with which to give a full and credible account of the events which have transpired," Cohen said in a statement. Speaking to journalists, Trump shrugged the news off, after having last month condemned Cohen as a "rat" helping the FBI in a "witch hunt." "I'm not worried about it at all," Trump said of Cohen's looming testimony. Cohen, who had been the real estate billionaire's right-hand-man and fixer at the Trump Organization in New York, said at his December 12 sentencing that he spent years covering up for his boss's "dirty deeds." A hearing could delve into the financial deals of the Trump Organization as well as the Trump 2016 election campaign's dealings with Russia, already being probed by the team of Special Counsel Robert Mueller. It will also examine the payments Cohen made in 2016 just ahead of the election for the silence of two women who had claimed to have had affairs with Trump. Cohen was sentenced to three years in jail on December 12 after pleading guilty to tax evasion, making false statements and illegal campaign contributions. His incarceration was delayed in part to allow him to testify in Congress. In an interview with ABC News after his conviction Cohen said Trump knew it was wrong to order the hush payments. Trump acted because he "was very concerned about how this would affect the election," Cohen said. "The man doesn't tell the truth. And it is sad that I should take responsibility for his dirty deeds." The hearing will kick off what is expected to a swirl of attacks on Trump from the House of Representatives after Democrats captured the body from Republicans in November's election. House Oversight Committee Chairman Elijah Cummings said the committee had given the White House and the Trump Organization until January 22 to produce documents related to the hush payments. "Last November, the American people voted overwhelmingly for Congress to do two things -- address the core issues that affect their daily lives, and fulfill our Constitutional responsibility to serve as an independent check and balance on the executive branch by restoring accountability and transparency," Cummings said in a statement. "This initial set of hearings will serve both goals by launching our broad review of the skyrocketing prices of prescription drugs, hearing directly from President Trump's longtime personal attorney, and focusing on sweeping legislative reforms to strengthen our democracy." Adam Schiff, incoming chairman of the House Intelligence Committee, which is focusing on Russian interference in the 2016 election, said he expects to call Cohen to testify as well. "It will be necessary, however, for Mr. Cohen to answer questions pertaining to the Russia investigation, and we hope to schedule a closed session before our committee in the near future," Schiff said.